It seems everyone does photojournalism now for weddings. That’s probably a good thing. Lord knows we do a majority of our work that way. Photos that look too set up or posed are not exactly what people are looking for. The last thing you want is someone stopping in the middle of a cake cutting to pose for a quick shot. The moment is gone the second they turn to focus on you. But is there still room for the posed shot? Hell yes, there is. Portraits are a huge part of our business. But what we don’t want them to be is two people staring into the lens of the camera – except in really rare instances. What we want is to capture a mood or a moment, but one that we control. They should almost look like we snapped a private moment. That’s kind of the trick. There are all sorts of disciplines involved in this but it’s a little fashion photography and a little portrait photography all rolled up into one. 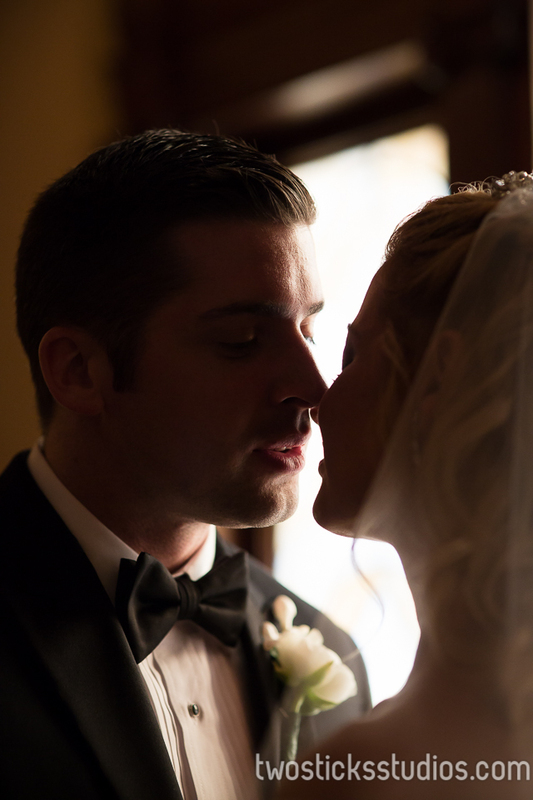 Not long ago, we shot Alicia and Bobby’s wedding at the Westmoreland Club in Wilkes-Barre. 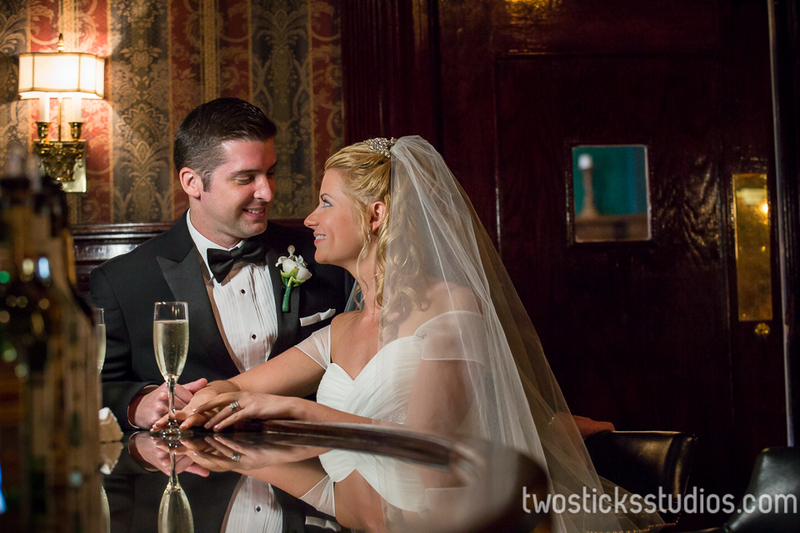 It was a great setting for some portraits with a ton of dark wood and stained glass and unreal light. So we took them before the reception and wandered around to get their portraits. We love how they come out. And we’d love to hear what you think.